The computer needs to have basic speed and performance to access the programs, utilities, etc. and the optimization tools will make your PC run more smoothly and efficiently. 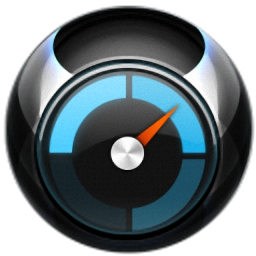 EaseUS CleanGenius Free is one of the optimization tools that is available for both Windows and Mac OS. If your system is facing issues such as registry errors, invalid entries, fragmentation, etc., then EaseUS CleanGenius Free makes your system error-free and optimizes your PC’s speed with its smart tools. You can get 24x7 reliable technical support. CleanGenius is an all-in-one cleaner which takes control of your PC and protects your privacy from illegal traces when browsing online or social networking. It detects and deletes hard-to-remove junk files to free up your computer hard disk space. It easily removes unwanted software, plugin, empty files, etc. The latest version CleanGenius 3.24 supports Windows 8.1/8/7/Vista/XP and Mac OS X 10.9, 10.8, 10.7, & 10.6 operating systems. The Mac version comes as a free 15-day trial with various disabled functions such as Clean up Social Network Service history and Instant Messenger history, Registry Cleaner and Defrag, Cloned File Finder, Context Menu fixer, and Driver backup. Whereas, the Windows version is completely free to download and use. The new version has added few animation effects, drag and drop facility, option to hide the status in menu bar and other enhancements. The program has got more options than CCleaner but some are disabled in free version. Still, the free version is impressive and serves more than expected. The tool can scan your computer to clean, revamp and optimize the system with just a few clicks. Some of the advanced tools are still accessible in EaseUS CleanGenius Free edition. Memory Manager to optimize and improve system performance. Driver Backup for backing up Windows device drivers. Uninstall Manager to safely remove unwanted software. Process Manager, an augmented task manager for advanced information regarding system programs and processes running. Disk Defragmenter, Disk Cleaner and Disk Check. Shutdown Scheduler for scheduling power management tasks. Shortcut Cleaner to remove invalid or useless shortcuts. Top file Finder, Cloned File Finder and Empty Folder Finder. Unlock Locked Files which helps to rename, move or delete locked resources. 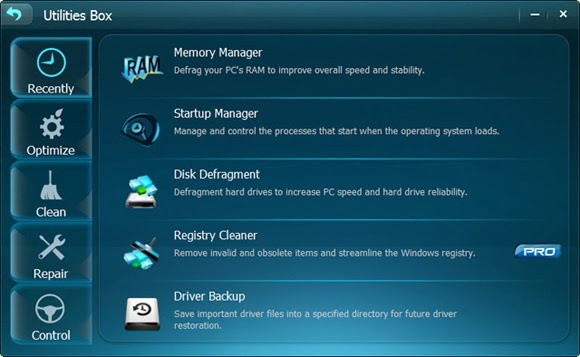 EaseUS CleanGenius Free uses less CPU resources and RAM. It has a wide range of tools for perfect computer maintenance, which can be configured by all user levels.